This property offers 20 out of 30 units of rental assistance subsidy through USDA Rental Assistance program. You will only pay 30% of your income for rent. 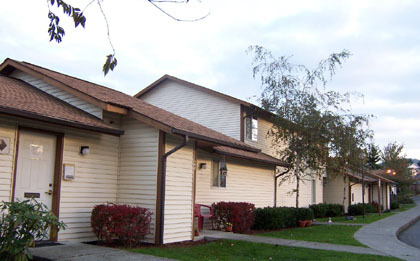 We also accept housing authority provided Section 8 vouchers for our non- subsidized units. 1, 2 and 3 bedroom apartment homes in beautiful Mt. Vernon Washington. Income Limit Details: Very low to Moderate USDA income limits with preference for lower limits. WSHFC Tax credit limits also apply. Rent Detail: This property offers 20 out of 30 units of rental assistance subsidy through USDA Rental Assistance program. You will only pay 30% of your income for rent. Non-subsidized units have a base rent that you will pay. Also accepting housing authority provided Section 8 vouchers in our non-subsidized units. .